The Nokia C2-01 is a budget phone from Nokia announced in November 2010 and expected to be released in the first quarter of 2011. This Nokia phone offers plenty of functionality at a low price. The Nokia C2-01 adds to the growing list of Series 40 Symbian phones. This one uses the 6th Edition of the S40 platform. 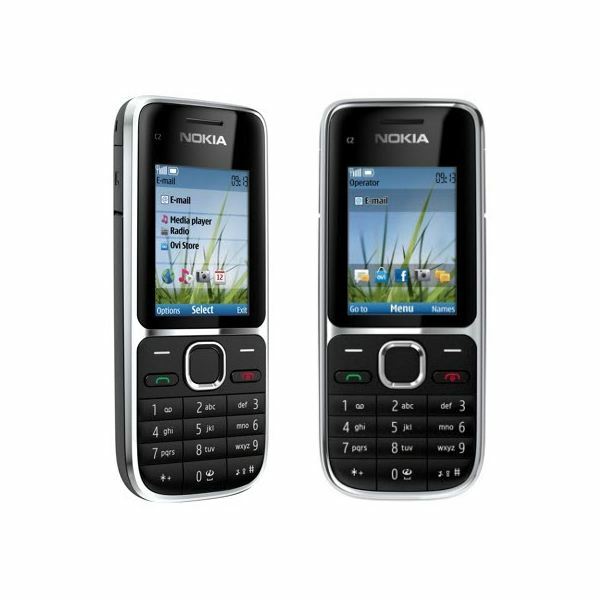 The Nokia C2-01 is targeted at those fun loving mobile phone users who want to stay connected on social networks and up-to-date on emails wherever they happen to go, with availability of fast 3G Internet access, all at the right price. 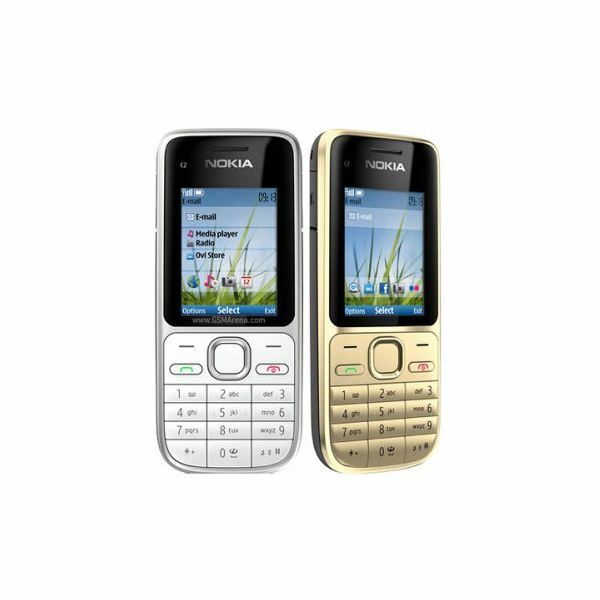 Out of the box, the Nokia C2-01 comes in a choice of either Warm Silver or Black. It measures 109.6 x 46.9 x 14.6 millimeters and weighs in at 89 grams together with the battery. This phone comes with well rounded corners and has a great size that is comfortable to handle, as well as tuck away in your pockets. The front face of the Nokia C2-01 has a two inch portrait display. Below the display there is a soft key panel with the traditional Nokia control arrangement of two softkeys. Below the two softkeys there is the green call start button and the red call end button. In between all these there is the Five-way Navi key. Below the softkey panel on the Nokia C2-01 there is the standard alphanumeric keypad. Moving over to the left side of the Nokia C2-01 you will find it has been fitted with the microSD card slot and the microUSB slots. Over on the left side of the Nokia C2-01, it has been left bare and the same goes for the bottom end of this Nokia phone. The back side of the Nokia C2-01 has got a 3.2 megapixel camera and the slots for the single external speaker. The entire back forms the cover for the battery compartment and the SIM card slot which is hidden from public view. Finally the top side of the Nokia C2-01 has got the slot for the 3.5 mm audio jack as well as the 2 mm charger connector. The Nokia C2-01 user interface is based on the Nokia S40 6th Edition framework. This gives this Nokia phone the traditional navigation set up where you can access the menu by clicking on the center key of the Five-way Navi key. The menu is laid out in a three by three grid which can be navigated using the outer keys of the Five-way Navi key. Selecting applications can be done by pressing the center Navi key when the application icon is highlighted. Calls can be made by typing in the full number when on the home screen then pressing the green call button. Calls can be ended or canceled using the red call end button. Calls can also be made by directly selecting a contact from the address book which in turn can be accessed by navigating the Nokia C2-01 menu. You can input text while composing text messages, emails or surfing the Internet using the keys on the alphanumeric keypad in either standard mode or auto-complete mode. The Nokia C2-01 comes with a TFT display that can render graphics in up to 256K colors. This display has a resolution of 240 x 320 pixels. With this display you can view your images taken with the 3.2 MP camera which has a maximum resolution of 2048 X 1536 pixels. This same camera also supports video clips at up to 15 frames per second. Data can be transferred in and out of the Nokia C2-01 using the microUSB connector or with Bluetooth. You can access Internet and other data related services on the Nokia C2-01 using either GPRS, EDGE or 3G. There is a full HTML web browser and support for email aside from SMS and MMS. Built-in to the Nokia C2-01 is a Stereo FM radio with RDS, a MP4/H.264/H.263 video player and a MP3/WAV/WMA/eAAC+ music player. All these can be enjoyed out of the external speaker or for better quality sound the 3.5 mm audio headphones. Internal memory on the Nokia C2-01 is 43MB with 64MB RAM and 128MB ROM. Extended memory is also available through the microSD which supports up to 16GB. Flash Lite 3.0 is supported on the Nokia C2-01. There are games such as Snake III, Sudoku, Bounce, Diamond Rush, City Bloxx, Brain Champion and Block'd that come preinstalled on the Nokia C2-01. There are other applications which include Ovi Store, Facebook, Opera Mini, World Clock, Converter 2, Windows Live and Nokia Messaging among others. The Nokia C2-01 is capable of running on standby for up to 396 hours on 3G and up to 456 hours on 2G connectivity. Maximum talk time is just under nine hours on 2G connectivity while 3G talk time gives you between four and five hours. You can get up to 34 hours of music playback on the Nokia C2-01. Picture quality on the Nokia C2-01 could be termed as average since the camera has to make do with the environment lighting since it has no built-in flash of its own. Phone call quality on this Nokia phone is quite good and so is the quality of the stereo sound for playing media. All in all the Nokia C2-01 is a great phone to have. It is extremely practical and functions well. With its fast Internet access, superb browser quality via Opera Mini, plenty of fun games to choose from and an extended life on music playback; the Nokia C2-01 is definitely a phone you want to consider picking up as your next and it will not hurt your budget as it goes for a modest US$95 making it currently the cheapest 3G Nokia phone on the market today. Other C series phones from Nokia that are worth comparing are the Nokia C3 and the Nokia C7.